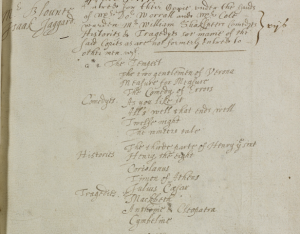 A new CREATe project will help advance the study of historical copyright by making the Stationers’ Register fully searchable, in a freely accessible online database. The Register is an unequalled resource for literary scholars, book historians and all those interested in the early history of copyright. The origins of Anglo-American copyright begin in the mid sixteenth-century with the commencement of a series of ledgers kept by the Stationers’ Company of London, that are now collectively known as the Stationers’ Register. The database of the earliest copyright entries within the Entry Books of the Stationers’ Company will be launched in 2017.